In our last Grace on Parade post, I gave five ways to listen to a sermon. Fast forward several months. You’ve done all these things. But week after week, your pastor does a poor delivery. The sermons are unorganized. You don’t understand what he’s talking about. It’s not what you would prefer or what you are used to. Worst of all, the sermons contain little biblical content or conflict with what the Bible says. In my post, I told of my desperation during my college years for good, substantive sermons. I was hungry. After the boredom of my teenage years, I wanted to understand the Bible. I was neck-deep into my degree program at the University and getting hammered with threats to my faith from atheist professors. Connections with other believers showed me not everyone who calls themselves Christian interpret the Bible the same way I’d been taught or what I was seeing for myself within its pages. Every Sunday I returned to the church of my childhood ready for the meat of the Word. I left, deflated. I got pablum. Stories. Long, dragged out stories that didn’t make sense and that, to me, didn’t connect to the point the pastor was making. If there was a point, my snarky mind retorted. When a Sunday service – whether it’s the preaching, the music, or programs for the children — doesn’t meet our expectations, it’s easy to think the options are limited to two choices. Find another congregation or stay put and keep still. If your church is ignoring or twisting what the Bible says and not accepting it as the authoritative, inspired Word of God, I would say that is a good enough reason to find another fellowship of Bible-honoring believers. Making that judgment call, however, isn’t so black and white. You may have no other options of where you can attend church because of where you live. You may feel as I did, that you need to support your current body of believers. Enough good things are happening for the Kingdom of God that you’re not quite willing to give up – yet. What do you do when your local church preaching or programming is mediocre at best? Why can’t our church do things like that big church down the street? You don’t preach like my preacher back home. A man must not be a good preacher if people aren’t coming forward every week. Why, where I used to go to church . . . I might as well stay home and listen to streamed services on the Internet. There was some powerful preaching at the conference I just attended. Too bad I can’t hear preaching like that every week. Each minister is uniquely created by God with his own set of gifts, personality, style, experience, and resources. Some preachers are dynamic, natural story tellers and do a terrific job of connecting ancient biblical truths to contemporary life. Others are what is known as teaching preachers. They are the ones who preach verse by verse, explaining in detail what each verse means. They have an uncanny gift for explaining difficult verses. Ask yourself: Is the preaching poor or is your pastor’s style just not on your wavelength? If it is a matter of preference, seek to enjoy your current minister for the person he is. Stretch yourself by finding ways to get to know him better. As you learn more about his background, likes, dislikes, and character strengths, you will learn to appreciate the man behind the words. Then those words will take on new meaning. Let go of unreasonable expectations about your preacher in particular or your local church at large. Your church should not try to be like the church down the street and your preacher shouldn’t strive to be like Billy Graham, Arron Chambers, or Bill Hybels. He should be himself, to the fullest of what God has created him to be. His flock needs to accept him as such. Don’t depend on the preacher solely for your spiritual formation. No pastor, no matter how good he is, can meet the spiritual needs of everyone in his flock. He has a tall order to fill. His sermons must appeal to the seeker but be meaty enough to satisfy the long-term Christian. He can’t keep track of every individual’s struggles or know the thin spots in each person’s theological understanding. Each Christian must take responsibility for their own spiritual growth. If you feel you need more instruction on topics like the Holy Spirit or Heaven, ask your pastor to recommend some resources for self-study. If you’d like to hear more preaching from the Old Testament, start reading it for yourself. Why do you not like the preaching? Does the pastor challenge you in ways you don’t want to be challenged? Are you carrying emotional grudges or baggage from the past? Before each Sunday service, pray that God will open your heart to humbly accept the message you need to hear. Challenge yourself to take one thing away from the sermon that you can apply to your life. Write it down so you remember. Look up and mediate on any scriptures given and allow God’s Holy Spirit to teach you from those Bible verses. I thought long and hard about leaving the church of my childhood but just didn’t have the nerve. In desperation to get something – anything – spiritual out of the 1 ¼ hours of pew sitting, I started to chew on the words of the ancient hymns we sang. I discovered a depth of theology in their stanzas. David and Karen Maines, who had a radio show on our Christian radio station about that time, talked about playing “The God Hunt” each Sunday. Before you go to church each Sunday morning, determine to look for ways you see God at work that morning. Involve your children and spouse in the game and report your findings over Sunday lunch. Our family did this for years and it kept us from falling into the quicksand of negativity. Find other reasons to attend church. As I studied the hymns we sang, I started to look around the church for other ways to feed my starving soul. I found more to the church experience than how well the preacher could preach. It caused me to ask why I came to church. Fill our souls with peace after a stressful week? Learn from the Word of God? Worship God with other believers? Find ways to serve and love the body of Christ? 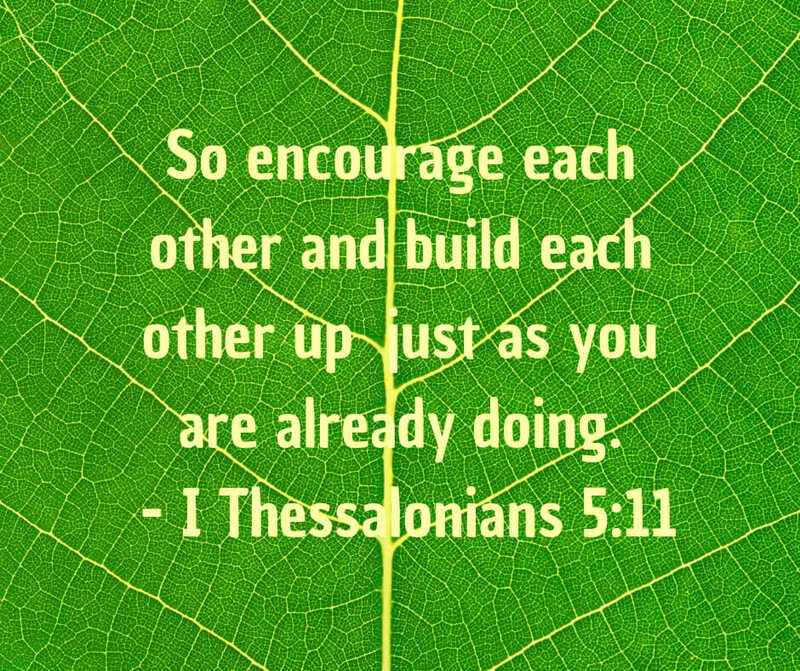 Be an encouragement to other believers? Yes, all these things and more besides. While it’s good to seek ways to fill our spiritual needs, the church must be far more than that. Church life is more than a Sunday gathering and it’s not all about you. Instead of looking for ways the church can fulfill your needs and preferences, ask God to reveal how you can be a blessing to other members and the church at large. This is something anyone can do, even if it is your first time at a church gathering. Simply pray, “Lord, lead me to someone I can encourage” and then actively look for opportunities to do just that. This was my second tact when I became so starved for spiritual nurture. Six months after Pastor Dee came to lead us, I began teaching a Sunday School class of first and second graders. The adage that says teachers learn more than their students is so true. My teaching got me into the Word of God and set me on a path to become a teacher of teachers, I’m sure several older church members laughed behind their bulletin covers when I graduated with a Master’s in religious education seven years later. We’re all imperfect people trying to accomplish the biggest job on earth – preparing ourselves and others for Heaven’s courts. Don’t let a poor sermon, clumsily led music, an unorganized children’s program, a flamboyant women’s ministry director, or other service or staff flaws derail you from reaching your best for the Kingdom of God. No matter how others around you may be missing the mark, your responsibly is to be faithful and do your part. Church life is more than a Sunday gathering and it’s not all about you. We’re all imperfect people trying to accomplish the biggest job on earth – preparing ourselves and others for Heaven’s courts.